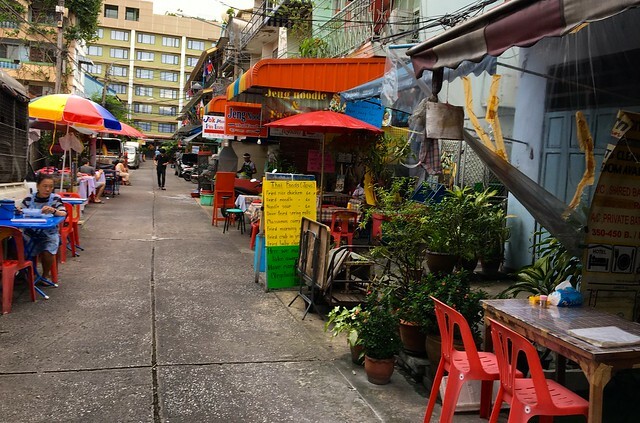 Picking a hostel in Bangkok can be a tough call with so many choices at your fingertips. 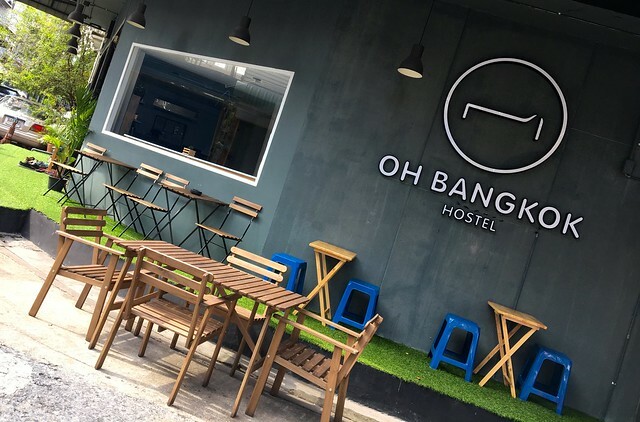 This blog post is all about the new kid currently on the block called Oh Bangkok hostel which was newly opened in 2016 and plans on expanding and opening more hostels under the Oh Bangkok brand umbrella, in the upcoming future. 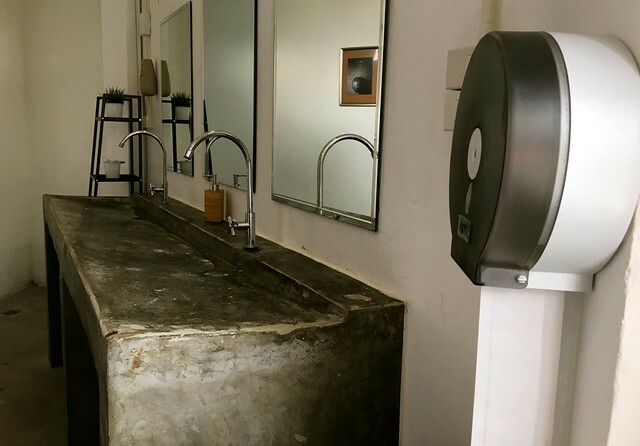 With a stop over in Bangkok, Thailand on the horizon and a nice excuse to visit the concrete jungle for a few days, this made perfect timing to come and sort out a stay at the Oh Bangkok hostel. 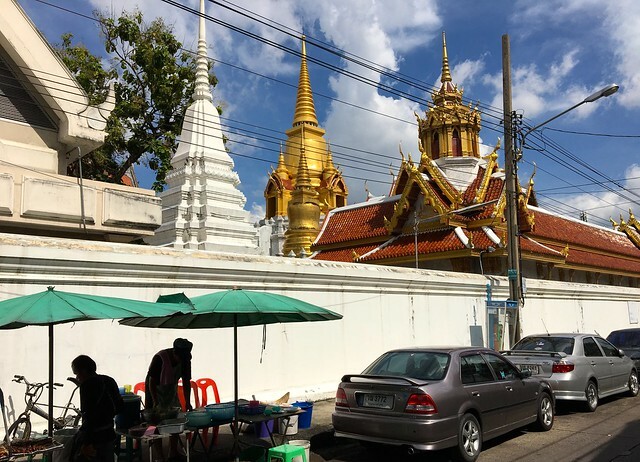 The Location is perfect for backpackers visiting Bangkok. All adventures in Thailand start in Bangkok, and after a long flight all you’re thinking about is a nice hot shower, and a cozy bed to rest your head. Having an easy to get to location can be awesome as the last thing you want to be doing is trying to find Wifi to sort out your Google maps. 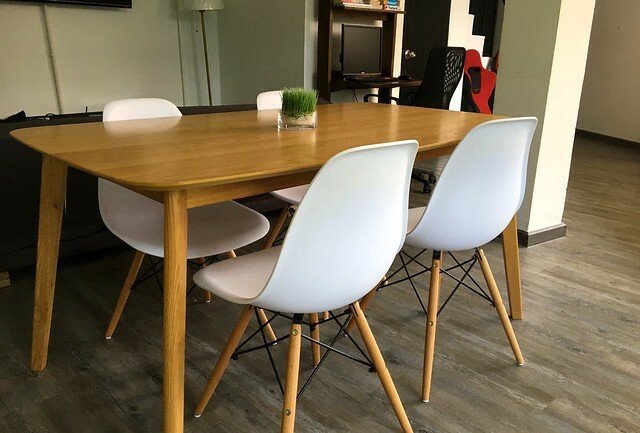 Luckily Oh Bangkok Hostel is well connected and easily get to from both major airports and you have many transportation options. 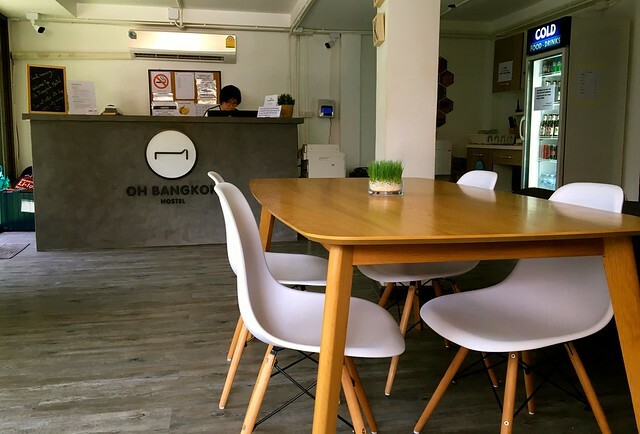 Oh Bangkok Hostel address:107 Samsen Rd, Ban Phan Thom, Phra Nakhon, Bangkok 10200. 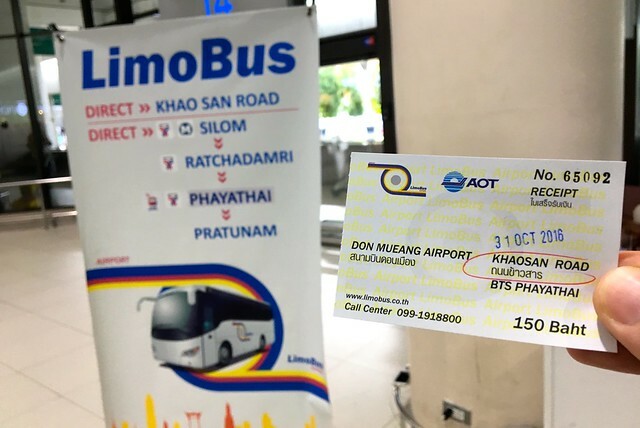 After landing at Don Mueang Airport I found a direct bus for 150 Baht to Khaosan road and the bus dropped me off just on the road that the Oh Bangkok hostel is located on, very easy indeed. 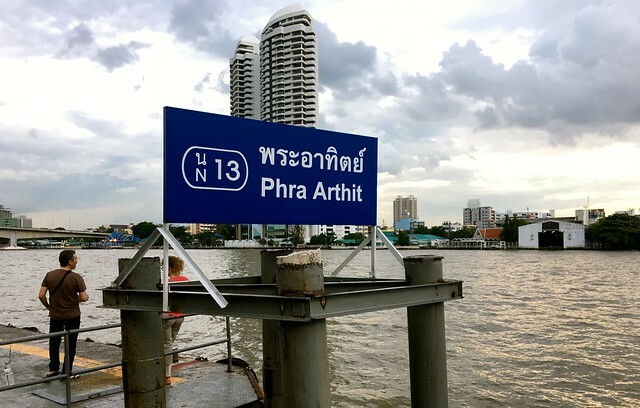 The hostel is also located close to Phra Arthit boat taxi terminal. If you ever want to try something exciting in Bangkok try a river taxi for sure. The journey will cost you around 17 Baht to most places and can bring you to different parts of the city along the river. The boats stop running around 20:00, so keep an eye out on the time. Great fun and a full on adventure in Bangkok indeed. For more transportation options Oh Bangkok hostel lays out all the options for you on their site. Oh Bangkok Hostel doesn’t have any private rooms so you will have to get cosy and make friends. They do however have private female only dorms if you like your privacy. 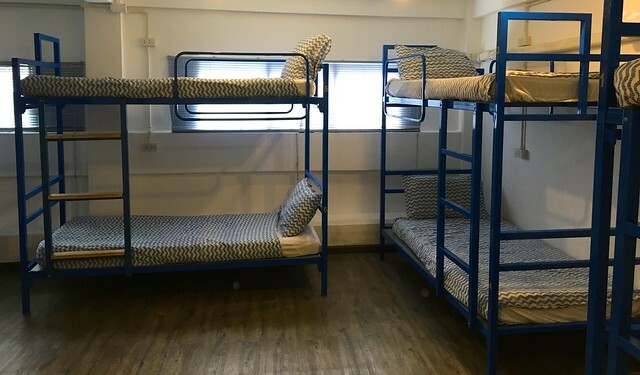 Mixed dorms are also an option you can choose. 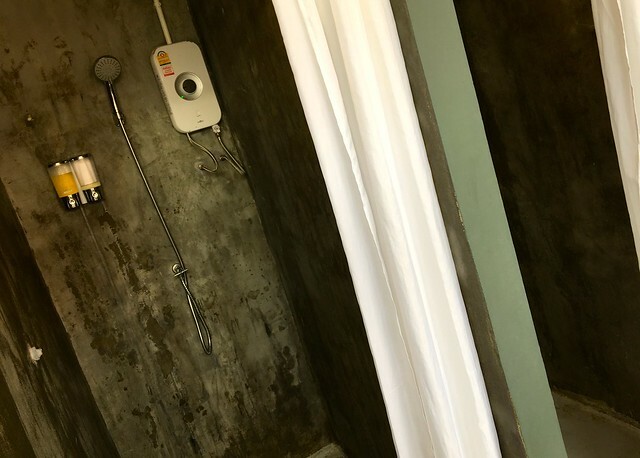 The bathroom and shower space is clean and modern as well, which is always an added bonus with hostels in Thailand. 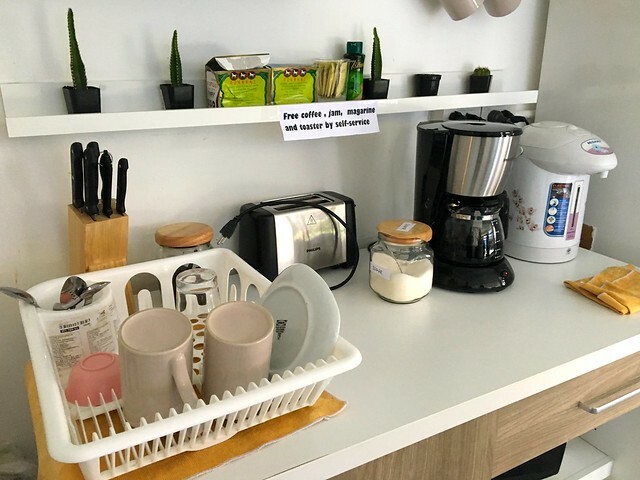 That’s the perk with going to a newly opened hostel as it has a lot of cool new features to enjoy. Loads of facilities on offer for guests. What I like about Oh Bangkok hostel is you have a lot of common areas to enjoy, relax and mingle. Great for meeting other travellers over a beer or getting some internet time sorted out as they have computers you can use or working spaces to get stuff done. Also got to love free super fast wifi included in your hostel stay, honestly, I wish some hotels were this good. Hostels always get the wifi working perfectly, which always makes me laugh. 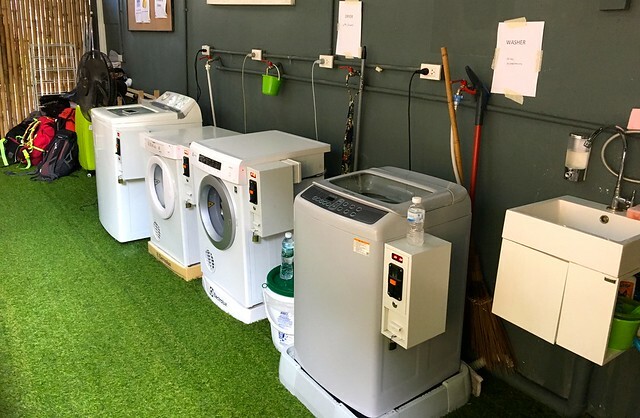 It’s nice they have a laundry area for guests to use, which makes recharging hassle free. Wash and dry while you get some work done or even a siesta. Always nice to set off on your adventure with a backpack full of clean clothes. Free coffee flowing all day, toast all ready in the morning. It’s the backpacker hostel life for me! They also have a fridge full of cold drinks on offer to purchase throughout the day which is great to refresh in the Bangkok heat. They have a really cool outside space as well which you can enjoy in the court yard, great if you want to hit some sun rays. 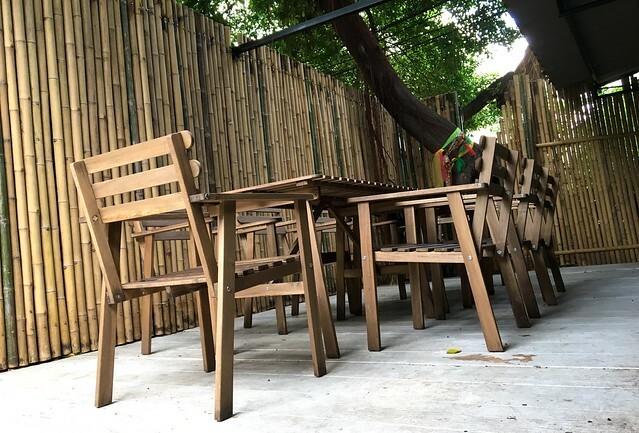 The outside space connects well with the street which has a lot of life going on, I’ll tell you more about the surrounding area now. 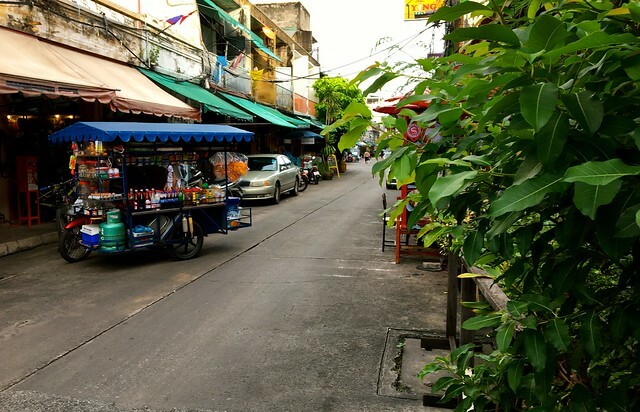 The surrounding streets of the hostel is pretty cool to walk around and explore, loads of sights to see and you can have a glimpse of friendly local life. 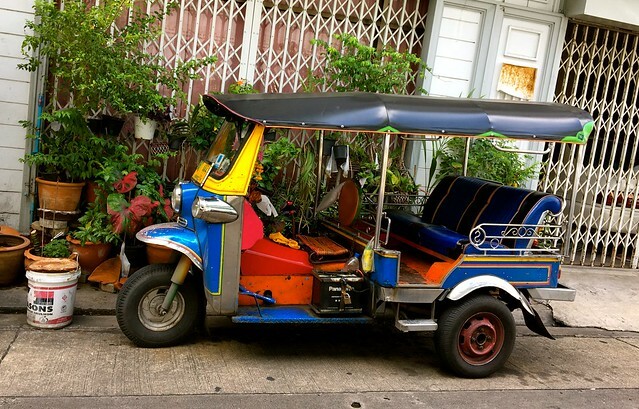 You won’t be that long away from a Tuk Tuk either to connect you to the BTS line to go off and explore Bangkok city. One awesome aspect about the surround streets from the hostel is the incredible but yet affordable Thai street food on offer. Here you can get a bowl or plate of Thai goodness to enjoy for a few dollars. Make the most out of it whilst you can. If you would like some tips on how to eat street food, I put together a useful blog guide here. 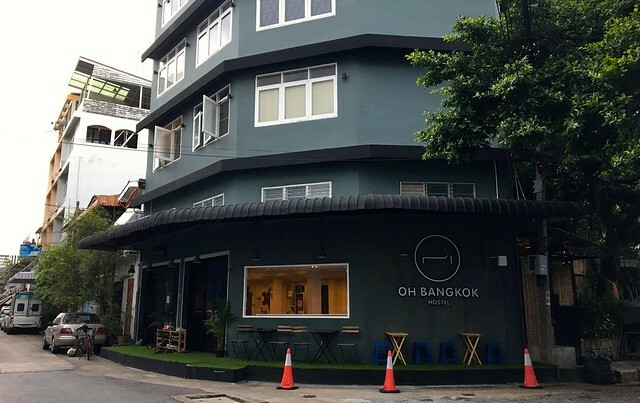 Oh Bangkok hostel is perfectly located in a pretty fun and quiet neighbourhood. I like all the facilities they have on offer as well as all the modern design and social vibe. 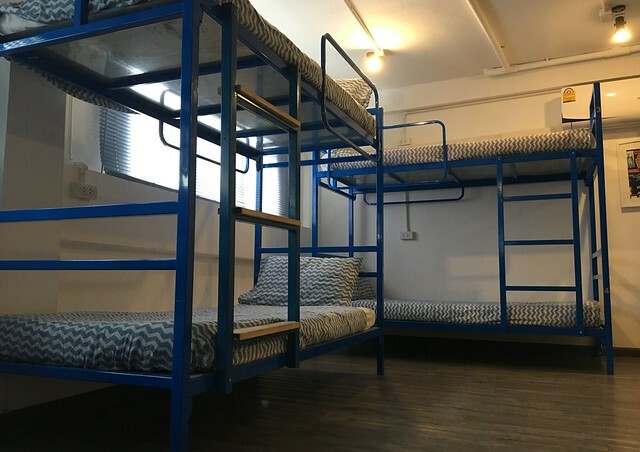 Really happy with my choice and look forward to checking out the other hostels they plan to open very soon in the close future. It can be hard to locate a good hostel in Bangkok with so many choice but this one hit the nail on the head. A little tip, its cheaper to book rooms directly with them on there website compared to walk in rate on the date. Book in advance online and add more money to your future beer fun, Enjoy! Thank you for reading my blog post about Oh Bangkok Hostel. 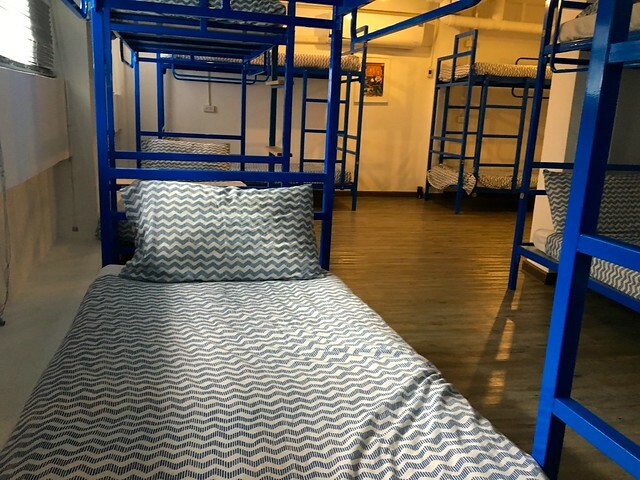 Thank you for reading my blog post all about Oh Bangkok Hostel, I hope you found it useful and plan on staying with them soon on your next trip to Thailand. If you do have any further questions about the hostel, I’m very happy to help. You can leave a comment below in the comment section of this blog post or you could even send me a tweet: @traveldaveuk or send one to the hostel directly: @ohbangkokhostel, thank you.